Patties or Tikkis are great as a tea time snack or appetizer in parties. Long gone are the days of common Aloo(potato) Tikkis. 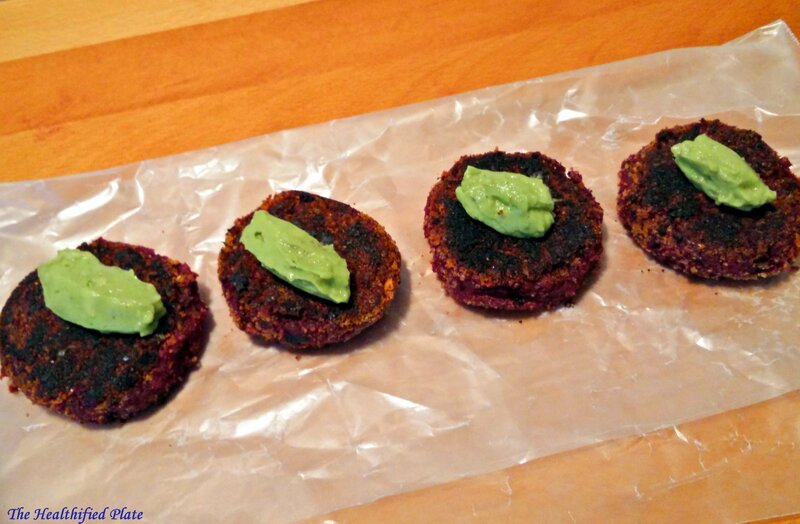 These patties, made of beet root and sweet potato are super healthy and delectable. These two veggies were not so common in our household. 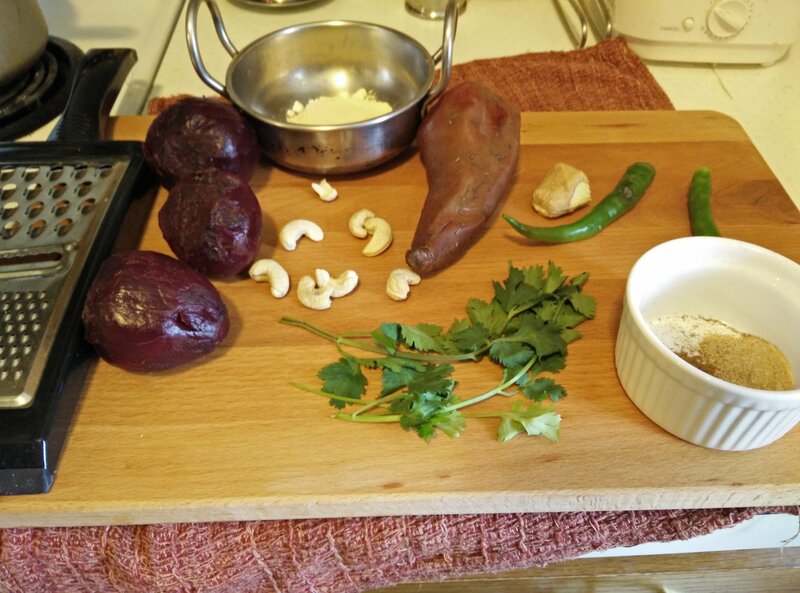 We rarely used beets for salad or some boring curry which we would push to the edges of the plate. So, I decided to make patties with beets. Here sweet potato is used for binding as it is considered much healthier than regular potato. Did you know sweet potatoes are rich in iron, fiber and vitamins A and C. This recipe is easy and uses minimal spices for flavor. These patties can be roasted in oven or shallow fried on pan with little oil. Serve with any garlic dip like garlic mayo or garlic guacamole as I did. Heat 1 tbsp of oil in non-stick pan and add chopped ginger and green chilies and saute for few seconds. Add coarsely ground cashews and gram flour and mix well. At this stage the whole mixture comes together. Adjust the seasoning and let the mixture cool. If your patties are not holding shape, add more roasted gram flour or bread crumbs.